Imagine not being able to go to Thanksgiving dinner with your family because your judge won’t set a hearing on an agreed motion. That’s what is happening to my client. I have a client who recently resolved his cases and is currently on house arrest. He lives in Broward county and wants to attend Thanksgiving with his family in Broward. (That’s right he is not leaving the county). His cc officer told him to get a court order to have permission to leave his house. I filed a motion, got the State to agree, and was told that the judge was out Wednesday and there was no room on the docket Tuesday. (That’s right no time for an agreed motion just to have the judge sign the order). My office asked the ja who is covering her calendar and the ja said she would call my office back to tell us. Lo and behold the ja never called back so we called her. Her response was that she deleted the email of who the duty judge is. So I had to call around and find out the duty judge. Now because the ja wouldn’t set a 5 second agreed hearing I’m at the mercy of the duty judge to sign the agreed order. Of course it would be nice if the ja of the assigned judge would let us email the stipulated order or let us fax it in but apparently that’s not permitted. Now I have to tell my client’s family that Judge McCarthy did not have room on her calendar to set an agreed 5 second hearing or permit us to fax or email the paperwork. Here’s hoping that the duty judge finds it within themselves to understand my frustration and sign the order. What happened to open access to the court? Happy Thanksgiving to you all and hopefully my client will spend his Thanksgiving with his family as well. Judges are parents too, and they want their kids to get the best education possible. But should members of the Broward judiciary be allowed to teach at private schools during traditional court hours in exchange for lucrative tuition breaks? At least two 17th Circuit judges are doing just that, starting their mornings late, and giving rise to complaints of rushed A.M. dockets and hearings, in addition to causing even greater time pressures on already stressed litigants, staff, jurors, and attorneys. Others are quick to point out that other judges start just as late for no good reason at all, arguing no harm, no foul. Peter Weinstein has yet to call back confirming official policy in this area, so until then … You Make the Call! A second county court judge has been challenged. Ellen Feld will be joining Ian Richards on the campaign trail this season. Here is Mark Rickard’s filing from earlier today. Adria Quintela is the Florida Bar’s new Director of Lawyer Regulation. She starts the first week of January, after Ken Marvin’s retirement. 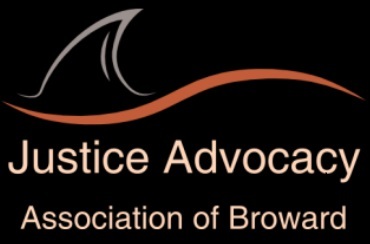 Quintela’s position as head of the Bar’s Broward office has not yet been filled, or listed with the general public. She will remain in Broward, serving as a “remote” Director of Lawyer Regulation. Surprised? Don’t be. The Bar is certainly perverse enough to put Quintela in charge of keeping all the lawyers in Florida in check. During her time,* Broward rose to unparalleled levels of corruption. Judges ran amok, Scott Rothstein and company did as they pleased, Scheinberg was initially cleared, Bar agent Charles Morehead leaked like a sieve, Lorraine Hoffman went turbo, and the Bar attacked the few whistleblowers who actually stood up to injustice, like Chris Roberts , and this very blog. If the past is any indication, all of Florida can expect more of the same, except on an even grander scale, if possible. 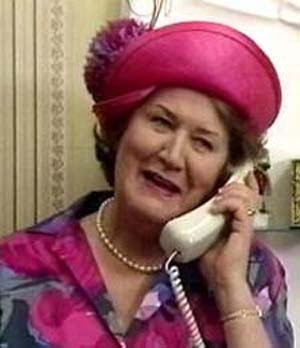 On the bright side, Quintela will now have to return her calls. While it was next to impossible to get her to call us back on questions of public importance in the past, Ken Marvin made it a point to communicate with the outside world. And since there’s a possibility Quintela may try to reignite the misguided, failed local attacks on free speech a la Bar v. Blog, at least now she’ll have to explain herself, instead of staying in the shadows. It is my pleasure to let you know that Adria Quintela will replace Ken Marvin as Staff Counsel beginning the first week in January, 2014. Ms. Quintela will perform her duties from the Ft. Lauderdale Office and we will begin immediately to advertise to replace her as the Chief Disciplinary Counsel in that office. The ability to have such an incredibly gifted and experienced bar counsel to replace Ken is directly related to the technology advances the Florida Bar has made through what is called our CAMFI system in which we have all our files and pleadings from all branches accessible on the computer. Likewise we have the ability and have been regularly using video conferencing to all the branches and will be using SCOPIA allowing me and others in headquarters to communicate visually on our computers. As we began to study the feasibility of a remote Staff Counsel it became clear that a huge majority of Ken’s work is related to reviews of pleadings, agenda items and other documents found on our system. Likewise calls coming from you and others are in essence also “remote”. The duties of supervising the headquarters lawyer regulation functions of conditional admissions, probation monitoring and statistical data entry will now be given to Arne Vanstrum in Tallahassee who has been training for well over a year to both take on those duties but to help with the transition of a new staff counsel. Years ago we utilized one of our leaders of a branch to help with some of these kinds of duties and it was found to be both useful and a boost to the branches to know someone from the trenches was the one involved in supervising their work and decisions. Adria has demonstrated excellent management skills in revitalizing the Ft. Lauderdale office and all the while remaining involved in the actual handling of very complex cases. She has excelled at both and those skills will be invaluable in her new job duties. Most of you have direct contact with Ken and down the road may have that same contact with Adria though remote and Arne. Any questions feel free to call. We will miss Ken very much and we are also very excited to have Adria come on board. I have been most privileged and honored for many years to have worked with Tony Boggs and Ken Marvin. We have worked together as a team and it is with a great sense of relief to know we can continue with the experience and dedication of Ms. Quintela. Should you have any questions I am here for you. * Quintela started with the Bar in March, 1996, and became the local Director in October, 2005. We are very happy to inform you that your successful innovation in the 2013 Innovating Justice Awards has been selected by our jury as one of the best entries in this year’s competition. You have therefore been chosen as one of the top three candidates and are hereby invited to the Innovating Justice Awards ceremony in The Hague, Netherlands, on 10-11 December, during which the overall winner will be announced. We congratulate you on this achievement in a very competitive and high quality competition this year. In the course of the next few days, we will further inform you of travel and accommodation options in the Hague. 1.) SDFL’s David Markus, caught slumming in State Court a few weeks back. After a couple days, he left with a Not Guilty verdict; 2.) Circuit court candidate Stacey Schulman; 3.) Mari Blumstein and 4.) Giuseppina Miranda anxiously await Rick Scott’s impending decision as to who will replace Stacy Ross on the county bench. WELL DONE MICKEY ROCQUE! – The Sun Sentinel’s Megan O’Matz and John Maines have made national news with in-depth reporting on Sunrise PD’s efforts to lure drug dealers into their jurisdiction. The big money stings have made millions for the City of Sunrise, and Satz’s Drug Trafficking Unit (DTU) has been more than willing to go along, no matter how many innocent men, women, and children were put in danger. The good news, of course, is that Sunrise PD is no longer in the drug selling business, after public pressure following the Sentinel article shut them down. The reporters deserve a lot of credit. This is long form investigative journalism at its finest. Exhaustively researched and well written, with the payoff of an egregious government excess being stopped dead in its tracks. It’s what the Fourth Estate is supposed to be all about, even in the day of the incredible shrinking newspaper. Without taking anything from O’Matz or Maines, it’s important to remember the guy who got the ball rolling. The story was broken right here on JAABLOG, back in November of 2011 (“D … T … PEE-YEW!”), all because of Mickey Rocque. Offended by what he had learned while defending one of his clients, Rocque went public, despite the potential for angering the powers that be. His courage made it possible for the Sentinel to pick up on the story and shut down the shameful practice, as no individual lawyer could have. It’s a lesson all attorneys interested in making more than money should take to heart, for no matter how unlikely it sometimes seems, public exposure almost always slays a misbehaving Goliath. So, hats off to Mickey Rocque. The man who was so instrumental in bringing Drug Court to backwards Broward now has another victory of far reaching implications to call his own. But knowing Mick, he’ll never mention it again, which is why we’re doing it for him. Well Done! Made For Each Other – what do you get for the guy and gal who have everything? That’s what we’ve been asking, despite the fact our invitation to this weekend’s wedding of David Bogenschutz and Gardiner up in North Carolina must have gotten lost in the mail. In any event, everyone must have breathed a sigh of relief that the Supreme Court didn’t deliver their gift to the new Mrs. Bogenschutz before the nuptials, although it’s sure to arrive shortly. But let’s not detract from the good thing that came from so much bad, namely Broward’s newest legal power couple. Congratulations! Winner, Winner, Chicken Dinner – Ed Merrigan’s promotion to U.S. Army Colonel was confirmed by the Senate earlier this week. Anyone even remotely familiar with reruns of M*A*S*H will tell you that’s a big deal indeed, as very few ever achieve Full Bird status, especially during peacetime. Could a General’s Star be in Ed’s future? And a circuit judgeship as well? The sky’s the limit, when you’re a thoughtful and patient guy. Well Done! Coming Soon – Wedded Bliss!